I was invited to Fondway Cafe for their media launch event this month. Fondway Cafe used to be in Crystal Mall but they have relocated to Beresford Street which is just behind the skytrain station. The cafe is in a residential area with lots of apartments. 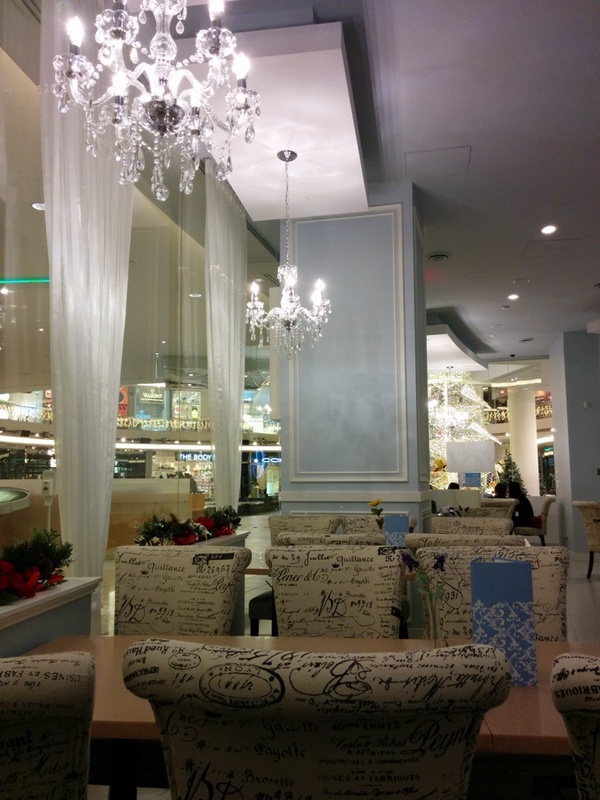 This entry was posted in Cafe/Bakery, Desserts, Food Reviews and tagged cafe, cake, sandwiches, tea, waffles. Tea Sparrow, a monthly subscription tea box service, has kindly provided me with tickets for my followers and anyone who would like to sample some tea! There will be 18 different teas to try! Just show the Groupon in the link below (admission for two)! You will be provided with your own tea cup and basically walk around to each table and sample all the different teas. For more information, please visit their website. Read my review of one of their monthly tea boxes here. This entry was posted in Product Reviews/Events and tagged tea, Tea Sparrow, tea tasting. They have a small dinner menu and also a section of waffles and toast/toast boxes which we decided to indulge in. This entry was posted in Cafe/Bakery, Desserts, Food Reviews and tagged banana, bubble waffle, honey toast box, ice cream, matcha, strawberry, tea, toast, waffles, whipped cream. 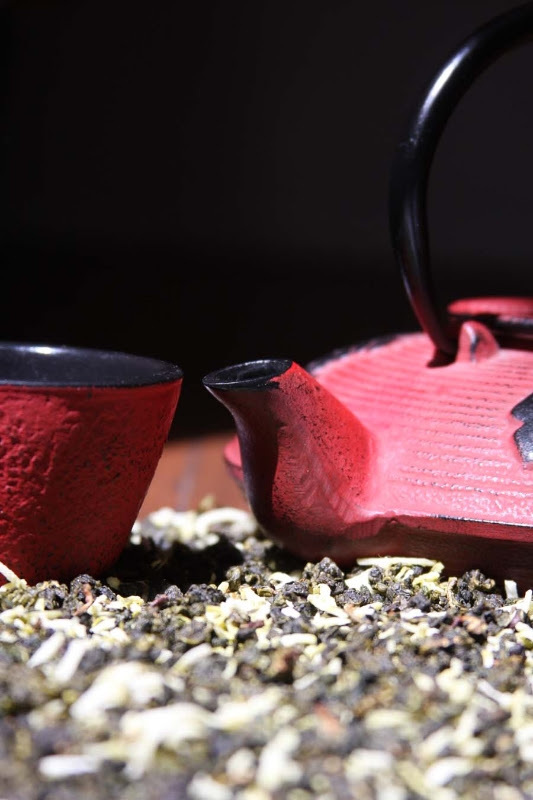 Tea Sparrow is the world’s first monthly tea box and tea critiquing company and they will be having their first annual tea-off on Oct. 26th at the Heritage Hall (3102 Main Street, at the corner of 15th) from 11am-7pm. 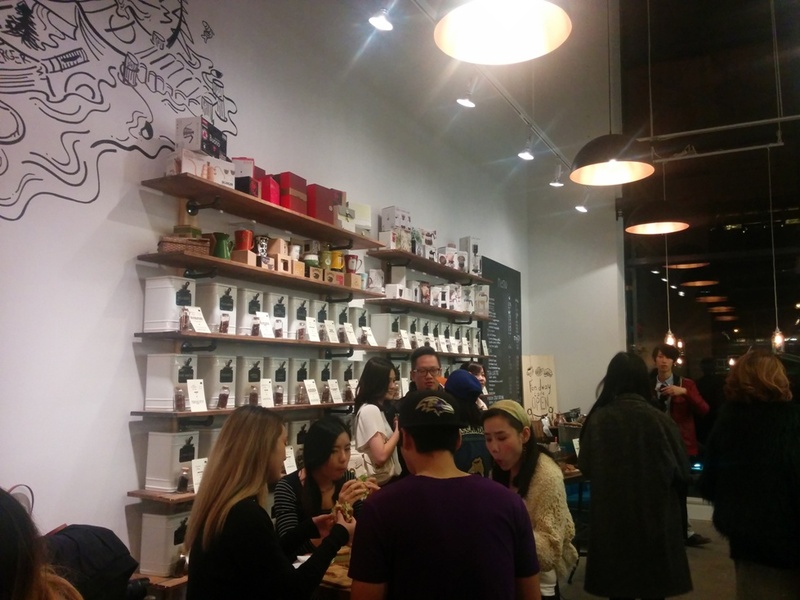 You will be provided with your own tea cup and you can go on a sampling tour of 20 teas that have already been approved by Tea Sparrow members. After sampling all the teas, you can rate them on your own score card and all the teas will be available for purchase. At the end of the tour you can get more information about each tea and Tea Sparrow is also offering a 40% off membership discount! You will also have the chance to build your first tea box with any 4 of the teas at the event. In addition, there will also be speakers such as tea blenders, sommeliers and tea gurus who can discuss teas with you. Discount tickets for this tea tasting event are available on Groupon, 2 for $5 or 4 for $10. Read my review of their monthly tea box here. This entry was posted in Product Reviews/Events and tagged event, tea, Tea Sparrow. 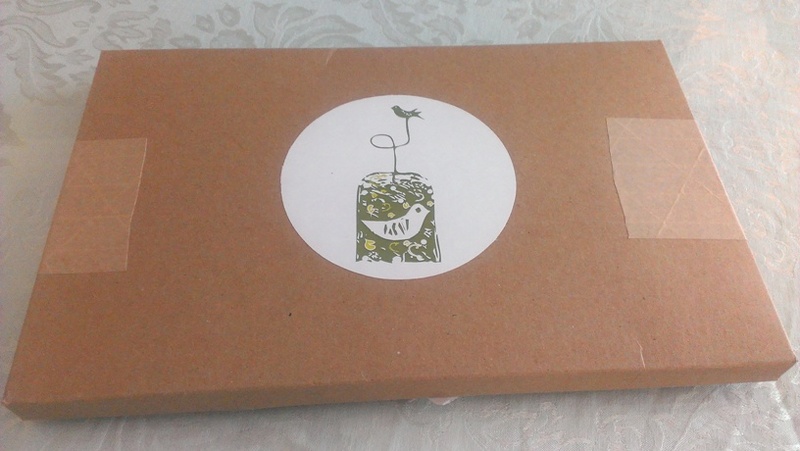 I was sent a free tea box for review from Tea Sparrow. Tea Sparrow is a monthly tea subscription service and they will send you 4 different loose leaf teas in their monthly box. All teas are free of artificial ingredients. I think the company name is pretty cute! There were two caffeinated teas (White Tea Champagne and Organic Masala Chai) and two herbal teas (Cacao Tea and Rooibos Du Hammam). There’s enough tea here for 35-40 cups. 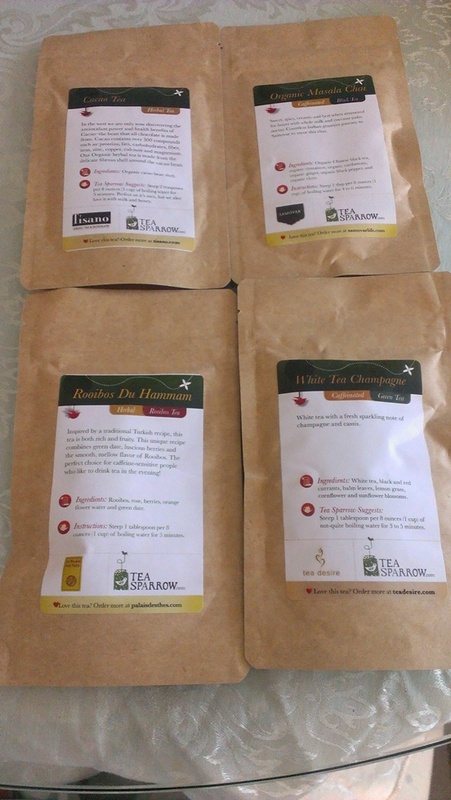 Each bag includes the ingredients of each tea and instructions on how to brew it. I’m not much of a tea connoisseur but I did start drinking more tea last year. It’s like there was suddenly a tea craze going on and David’s Tea was popping up everywhere! I found the Cacao tea to be the most interesting since it is made from organic cacao bean shell. It smelled exactly like chocolate and the instructions advised to add milk and honey to it. I had no milk around but the honey enhanced the flavours and made me feel like I was drinking chocolate but … a watery version. Maybe it’ll be like hot chocolate with some milk in it! Ongoing subscription – here you can subscribe for ongoing tea boxes at $20 per month. You can start/ pause/ stop this subscription at any time. I found the 1/3/6 month options under the “buy for a friend” tab but you can just buy it for yourself and enter your own address. They ship for free to Canada and the USA. Tea Sparrow is offering all my readers 60% off their first tea box in an ongoing subscription (this does not work with a one time tea box or gifts for friends). I enjoyed all the teas I received. Thanks for sending me the box Tea Sparrow! For more information, please visit their website. This entry was posted in Food Reviews, Product Reviews/Events and tagged loose leaf teas, monthly tea box, tea, Tea Sparrow.